2. 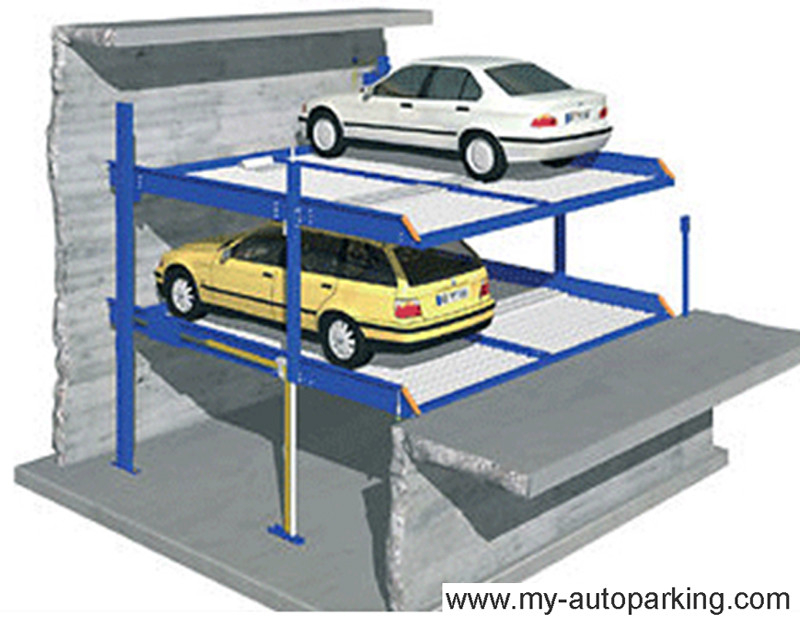 Pit type stacker,can be used in household or office building parking lot. structure to make sure steady and safe movement. 8. Pass 120% capacity dynamic load text and 150% static load test. 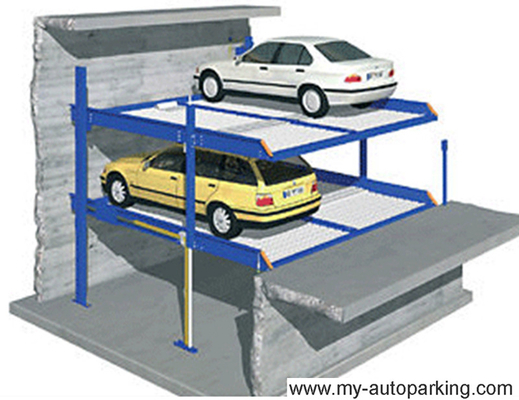 This pit design parking system designed as two easy parking lifts shared with one column. Usually, two cars above ground and two cars undergound in the pit. The top level space is in the same line with the ground cars parking in and out directly. 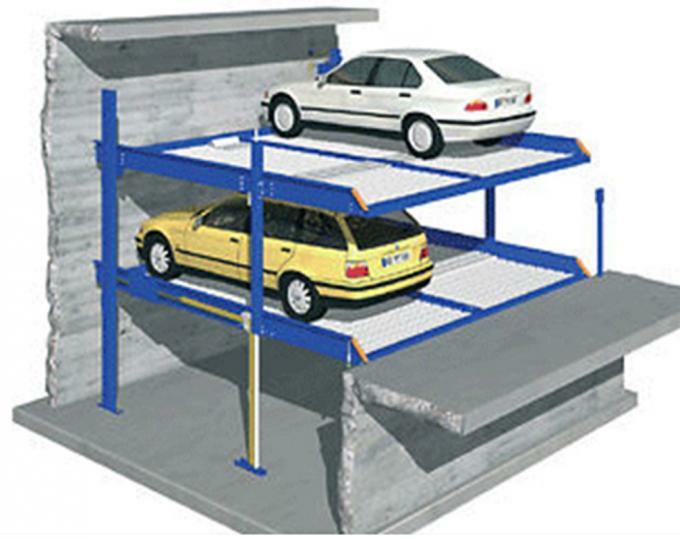 The bottom spaces may park cars when it is lifted. 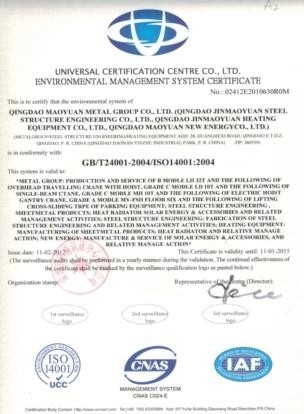 Our company is a professional company including development, production, and sales, etc. 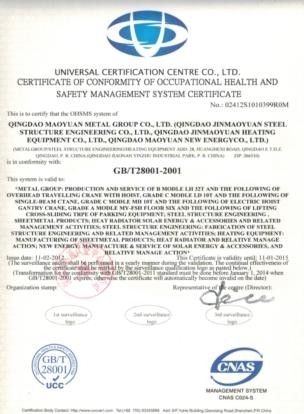 , specialized in the car lift machine, automible parts, intelligent parking system, three-dimensional garage and other machinery products research. We have a skilled professional team and have the world class production lines including many sets of precision CNC processing equipment.